Flexibility part 4 – what needs to be stretched? Here is a picture of a well aligned body compared to different postural problems. 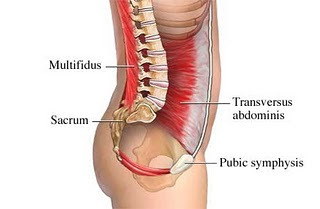 Most of us have at least one of these problems.. As discussed in part 1, this is due to muscles becoming shortened or overly stretched from the positions we keep our bodies in on a day to day. Movement assessments use knowledge of postural distortion patterns (typical patterns of movement and posture resulting from muscular dysfunction) to determine which areas need to be addressed. The overhead squat is my favorite movement assessment to conduct. If possible I would recommend that one take advantage of the “free personal training” session which is usually offered at gyms. Of course the goal of this session is to rope you in to personal training, but the information can be very useful. (Bear in mind that I believe in personal training and feel that most everyone can benefit from sessions; however, realistically cost is prohibitive and this is not always an option.) Another method if you don’t have a gym membership would be to record yourself doing an overhead squat and then review the video. Do not skip ahead!!! It will invalidate the assessment. Foot position – Stand with feet shoulder width apart, toes pointed straight ahead. The movement – keeping the arms overhead as much as possible squat down to a comfortable level, keeping your weight on your heels. After reaching a comfortable level, push through the heels and come back up to standing. If you are recording this squat assessment, you will need several squats recorded from both the front and side. If a trainer is watching you (and they are worth their salt) they will record what your postural distortion patterns are and should be able to tell you which areas need to be addressed and how. I was going to go into tons of detail, but discovered that this topic has already been aptly covered by someone else. Please use the following link.